Duct cleaning is not usually necessary to keep a house clean. According to the U.S. Environmental Protection Agency (EPA), air duct cleaning, or vacuuming of the air conditioning or heating ducts and registers, is not normally necessary. The EPA states that studies have not found that such cleaning is a preventative of health problems or that the levels of dust in a home increase due to the dirt inside the ducts. Much of the dirt in air ducts sticks to the surfaces and does not come into the rooms of the house. Rather, there are only specific situations in which such cleaning is necessary, as when mold is growing in the ducts, the EPA says. The EPA reports that homeowners should have their air ducts cleaned if there is a significant amount of mold that is visible in the ducts or other parts of the heating or cooling system. If the duct-cleaning service representative says that mold is present, have him or her show it to you. Even if something appears to be mold, it may not be. A sample should be sent to a microbiology lab to determine the exact nature of the material. If the insulation in the air ducts becomes wet or moldy, it should be removed and replaced rather than just cleaned, since mold will regrow if the cause is not eliminated. Also, air ducts should be cleaned if they are infested with rodents or insects. When air ducts must be cleaned, homeowners need to be careful about the service provider's reliability. Cost quotes should be obtained from no less than three service providers, and all references must be checked. The vendor should be able to show his or her license in states that require licensing for this service. The duct-cleaning service should also be willing to answer any questions and provide as much information as required to make a proper decision.The service may say it is necessary to apply a chemical biocide to destroy germs and mold and suggest that a sealant be applied to prevent dust in the future. Although such chemicals and sealants may be necessary in certain circumstances, studies have not clearly identified their overall effectiveness. Customers should expect certain services from the duct-cleaning company. The entire system should be inspected prior to cleaning to ensure there are no materials in the system that contain asbestos. This would require a special cleaning service. All dust and dirt should be exhausted outside of the house. Any particles that are adhering to the ducts need to be carefully dislodged so that no materials such as the fiberglass are damaged and no debris is exhausted into the home's air. When the work is done, the customer should ask for a complete visual inspection of the system's cleanliness. 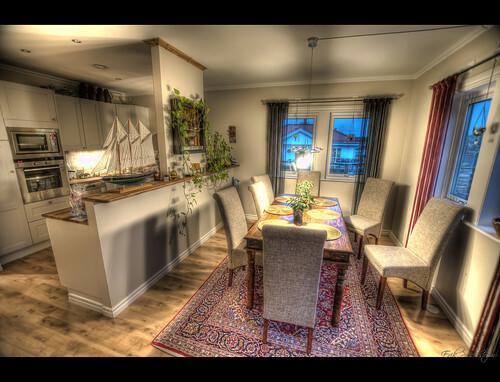 Some companies use remote photography to show that all areas are clean and no debris is apparent. Make sure that no materials are damaged, all grilles and registers are in place, any new sheet metal access doors are firmly attached and the heating and/or cooling system is running smoothly. All guidelines recommended by the National Air Duct Cleaners Association (NADCA) should be followed. Professional duct cleaning is not necessary if homeowners take necessary precautions. They should use the highest-efficiency air filter that is recommended by the heating or cooling system's manufacturer. All filters need to be regularly changed, and no filters should be missing. When the heating and/or cooling system has its yearly service, all cooling coils and drain pans should be cleaned. Houses must be regularly vacuumed with high-efficiency equipment, or else the amount of dust in the air will be increased during vacuuming. Moisture will enter the heating system through leaks. In addition, condensation on or close to an air conditioner's cooling coils will often contaminate the system and encourage mold growth.